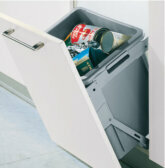 90° Storage basket and t.. 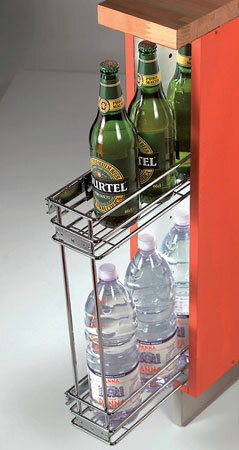 This 90° storage basket and towel holder set provides an innovative approach to increasing storage space in your kitchen. 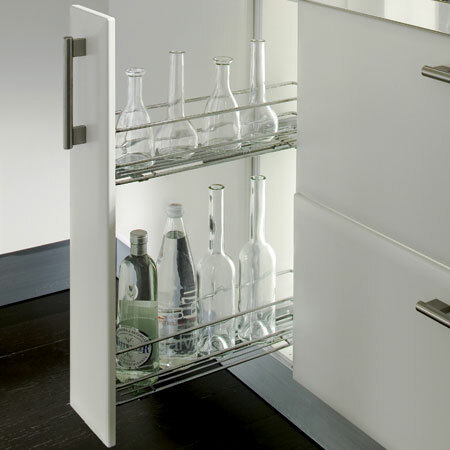 The set comes in a smart and contemporary, chrome-plated steel finish and provides ample room for all everyday utensils and products. 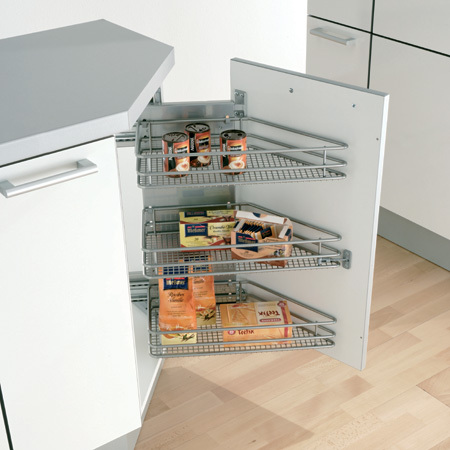 Full extension ball bearing runners ensure smooth and easy usage, making this product an excellent addition to any kitchen unit. 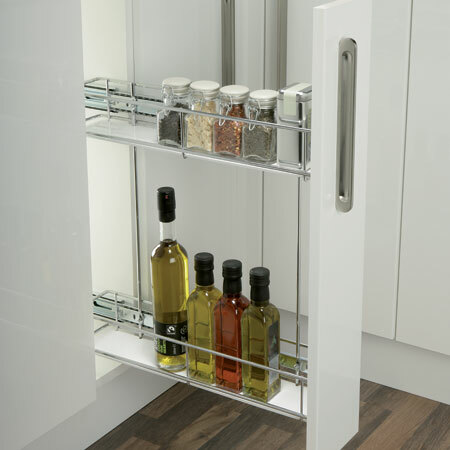 90º Storage basket and o..
Reduce the amount of clutter in your kitchen with this brilliant 90º storage basket set, a must have for any cooking space. 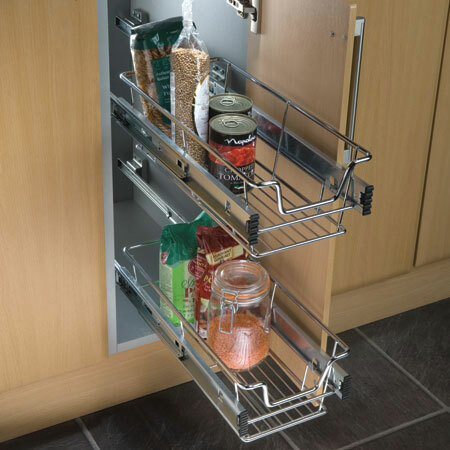 Set in stylish chrome-plated steel, the storage baskets provide ample room for everyday kitchen items and utensils, including bottles or seasonings. 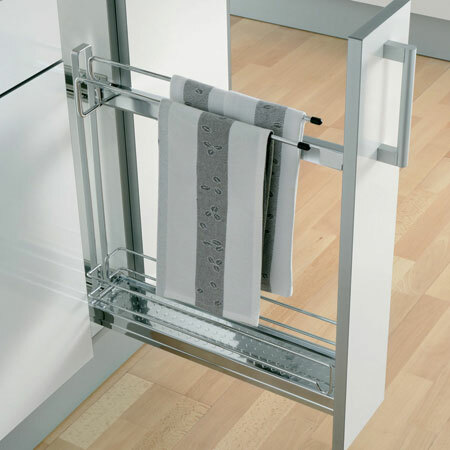 The unit also boasts a set of full extension ball bearing runners, providing smooth and efficient usability. 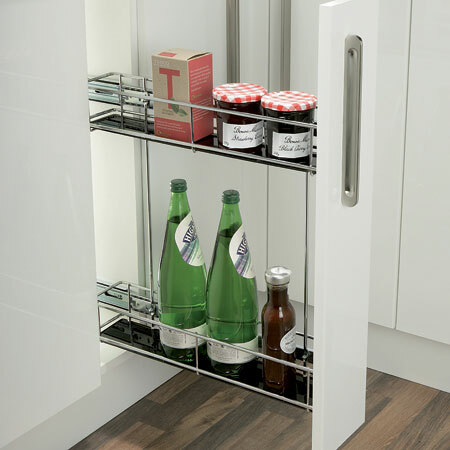 Looking for a fresh, inventive and efficient way of storing your utensils? 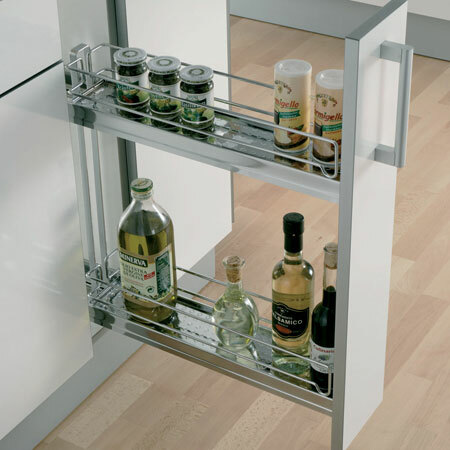 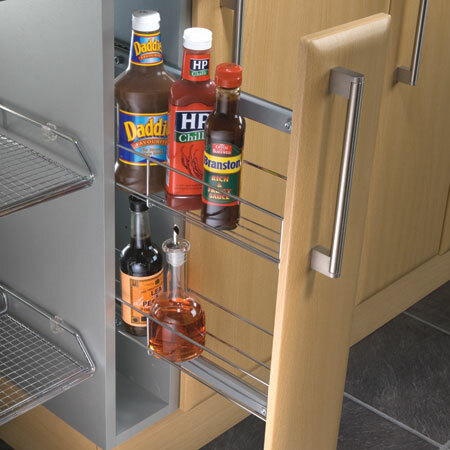 This multipurpose pull out unit provides a clever solution to maximising storage space and reducing the amount of clutter in your kitchen. 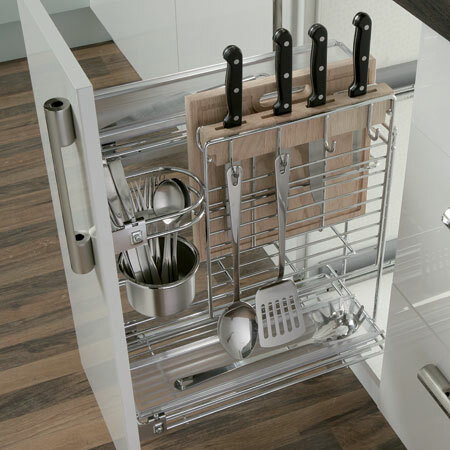 The unit, which comes set in a contemporary chrome-plated steel finish, includes two multipurpose trays, a chopping board, a cutlery holder, bottle holder, row of four hooks and knife holder with space for four knives. 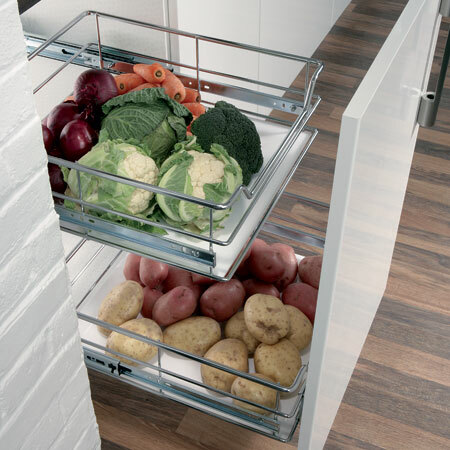 Modernise your cupboard space with this set of pull out vegetable baskets, a perfect addition to your kitchen and an excellent way of utilising valuable storage space. 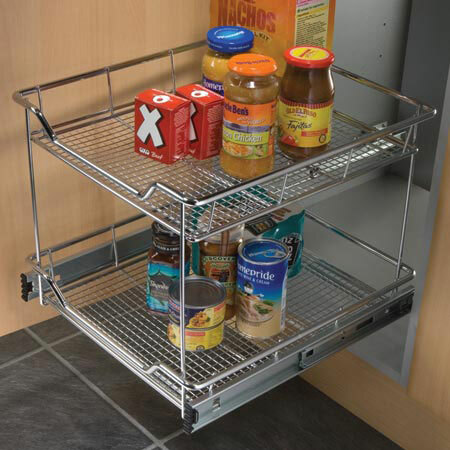 The two-tier basket set comes in a sleek and contemporary chrome-plated steel finish and provides ample room for food products and everyday utensils. 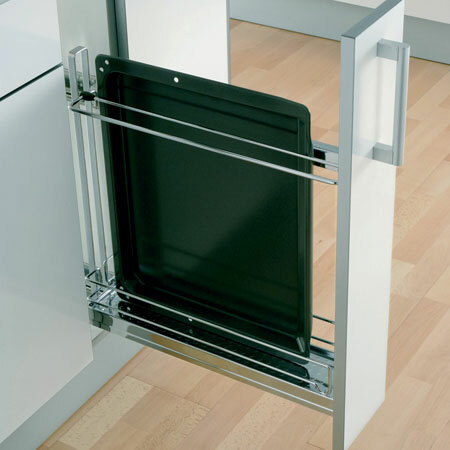 Full extension ball bearing runners also ensure smooth and effortless usability. 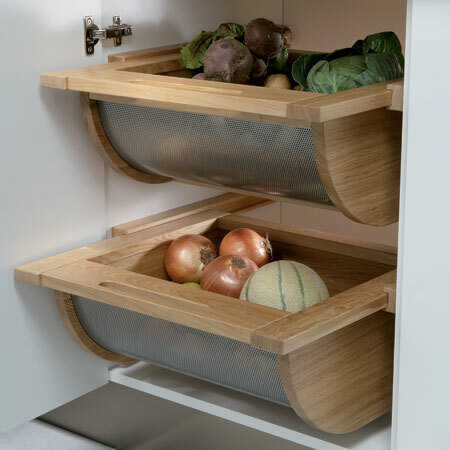 Looking for a new, unique and fresh way of storing fresh produce? 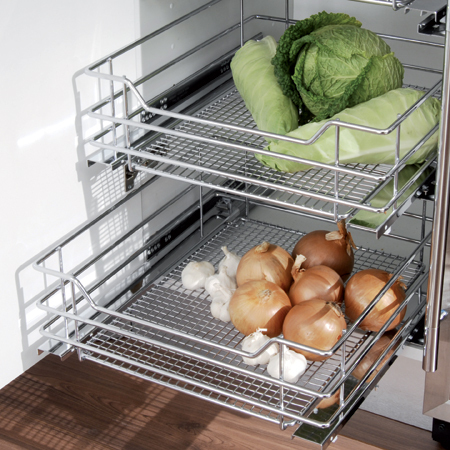 These pull out vegetable baskets could save you a lot of space kitchen space. 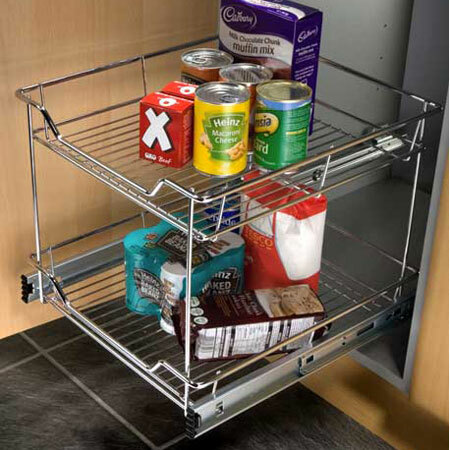 The unit boasts two, polished chrome-plated steel, inter-stacking baskets, which operate with full extension, ball bearing runners for smooth and effective usability.